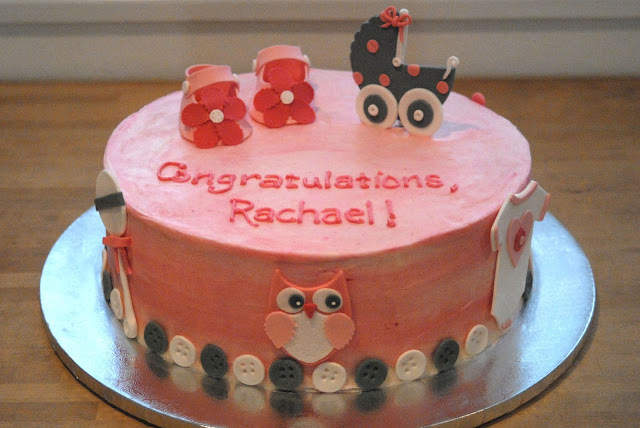 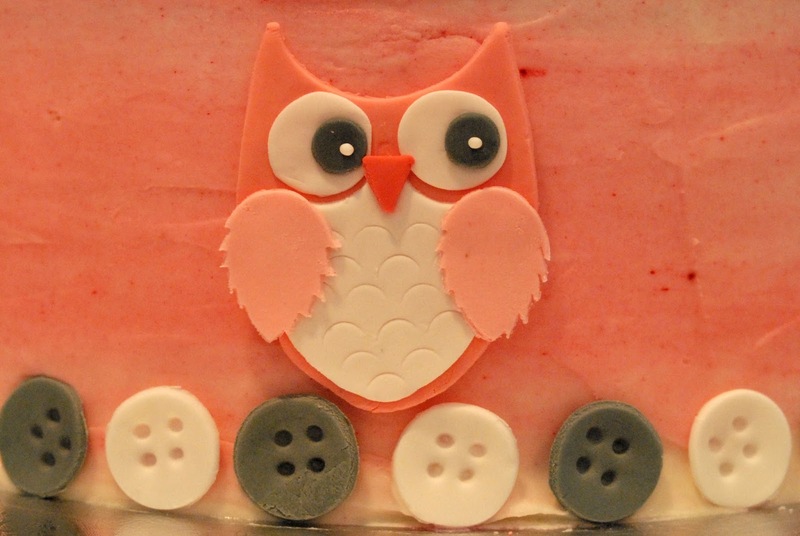 There is not much cuter than a sweet baby shower cake. 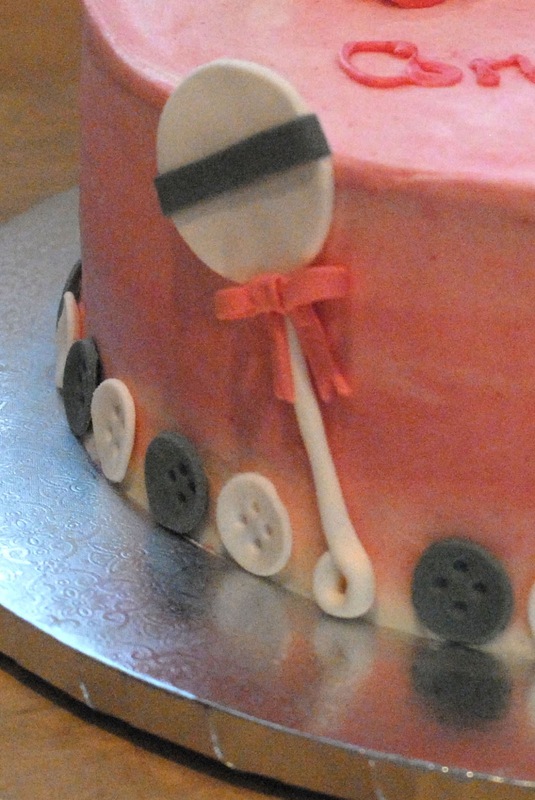 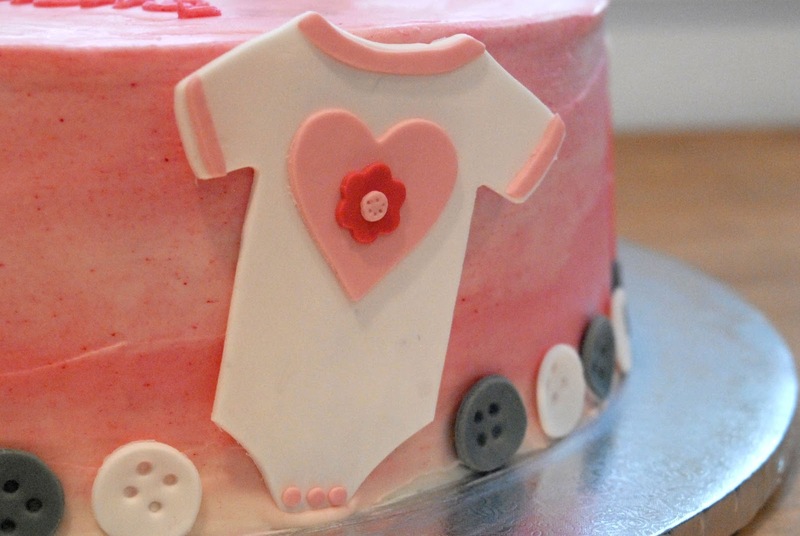 I've done several cakes with clotheslines filled with onesies, edged with fondant buttons. 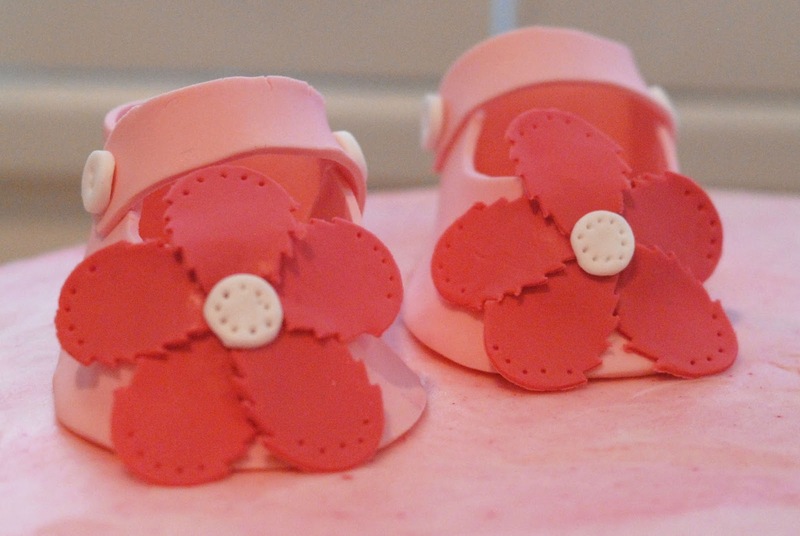 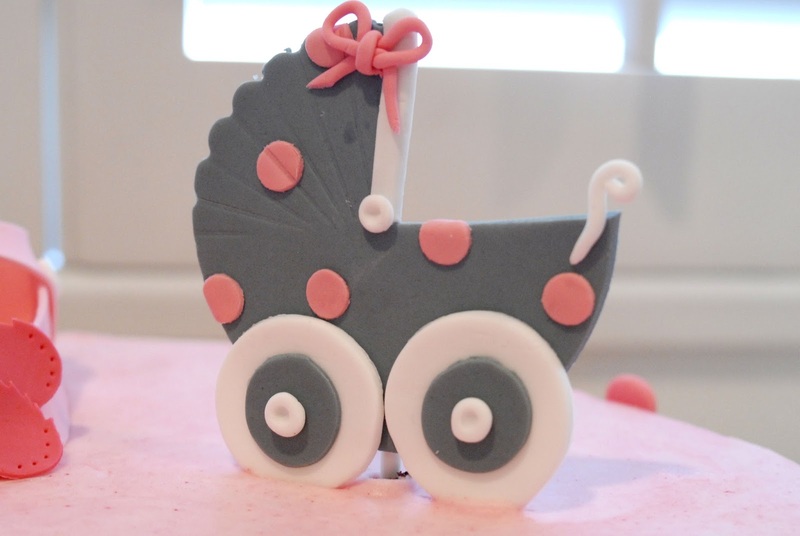 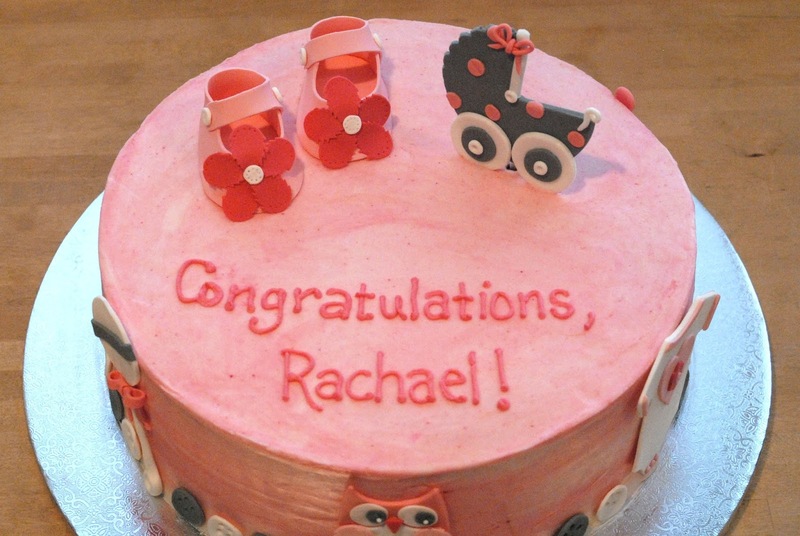 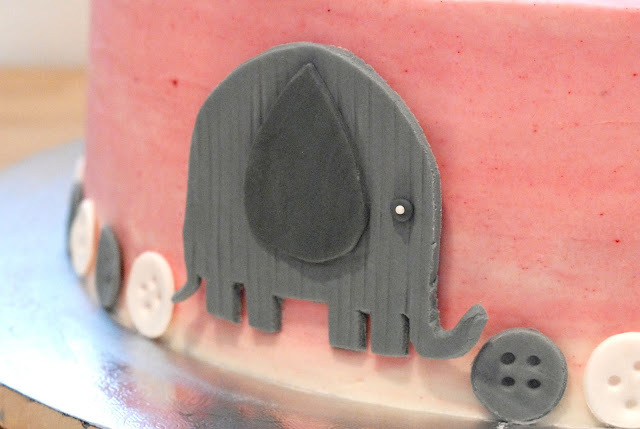 This cake, for a new baby girl, was a similar idea, but instead of baby clothes, I made cute baby-themed fondant elements - a bottle, tiny shoes, a pram, a rattle, a onesie, and some darling animals. 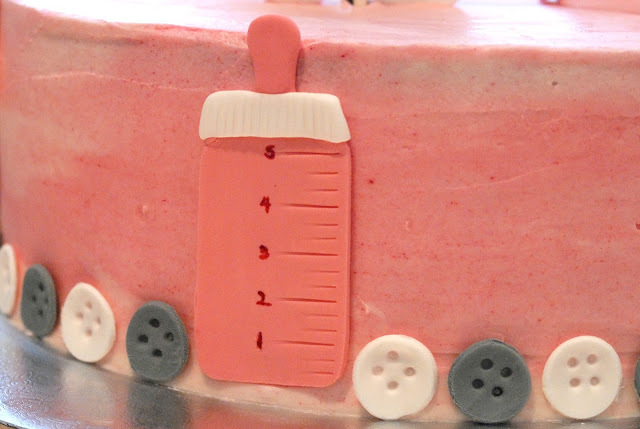 I had a lot of free reign to design the cake - it just needed to feature a lot of pink - so I stayed with a classic pink, gray and white palette and had fun making the ombre frosting with deep pink, light pink and white.